015: Come See the Crazy Indians! 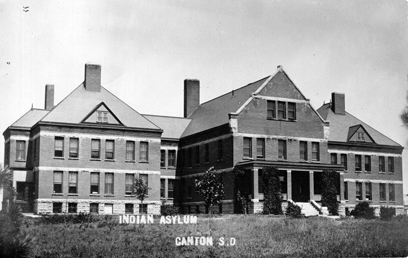 Alcoholics, horse thieves, non-conformists, and yes, those with mental illnesses were all people who were committed to the Hiawatha Insane Asylum, otherwise known as the Canton Asylum for Insane Indians. Run first by a clueless superintendent and then a cruel one, Canton Asylum was a mess from the start. Patients were chained to radiators and refused life-saving surgeries. The conditions at Canton were well known- so why was it open for decades? Misnumbered in the beginning and co-starring the crickets in my backyard.